This year, solar prices have significantly dropped for another consecutive period. Installing a solar can save your home of business bundles each month. However, just a reminder, switching to solar isn’t an automatically cost-saving experience. Buying panels to be installed on your roof typically costs thousands of dollars. So make sure you are preparing for several upfront costs. We recommend becoming a micro and macro type economist and watching panel market prices; this will ultimately help you buy when the solar deals are the hottest. Maybe it's your time to consider soaking up some rays and putting them back into the grid after all panel prices are very low. If you have been keeping up with the news, then you are aware that the cost of solar is dropping across the country and beyond. There are numerous ways to evaluate the expense of panels in your state. Abroad, Chinese panels are very cheap compared to other parts of the world; in fact, there is a massive panel glut affecting world costs currently do to Chinese solar building policies. And in the U.S., we aren't lagging too far behind, especially in spite of tariffs recently placed by the Trump administration solar imports. However, in the United States, we have benefited from having solar companies developing products with world record performance; not to mention, our governments, both state and federal provides some special incentives to make it affordable. You save, you have to know when to purchase a good. Because the solar industry is so globally connected, you have to watch the price of solar in real time as it changes throughout the global marketplace. The good news is that the average solar price in 2018 so far is set around $3.14 per watt. That’s five percent below than 2017's cost. The big takeaway is that prices continue to fall. So there’s no ambiguity that, notwithstanding of how you finance your panel system, going solar will be an economical process with strong returns. If you know where to investigate your panel purchasing choices in advance, you can lower the costs of your installation, and save yourself a bundle in the process. Over the last few years, the price of installing systems has decreased significantly, in large part thanks to a necessary reduction in panel costs. International Renewable Energy Agency, also known as IRENA, exhibited the overall values for panel systems all across the globe (including both installation and operation) had fallen by over 50. There is no better time to jump on board the panel low-pricing wave baby. There are news from all over the world, including the Deutsche Bank, confirms that costs keep falling. This report shows that the cost of production by leading Chinese manufactures had reduced output from $1.30 per Watt to $0.50 per Watt within the years of 2011 of 2014, indicating a 60% fall in just three years. This decline pointed toward a decrease in processing and polysilicon prices, as well as an addition in transformation efficiencies. 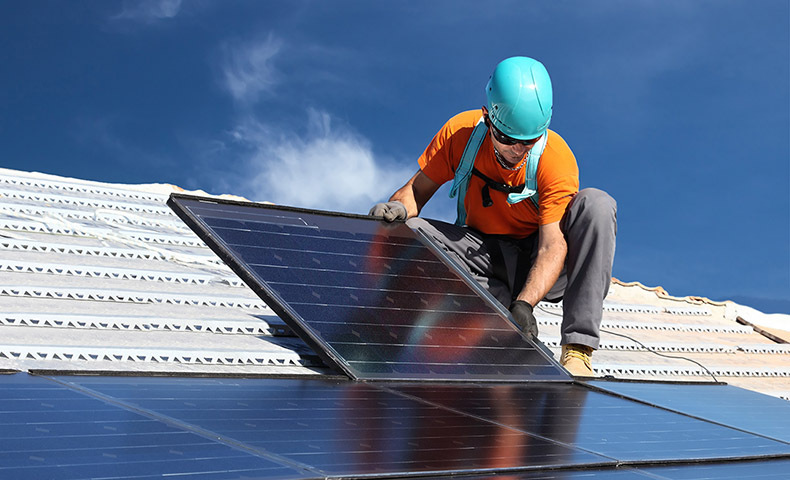 The commonly found affordability of panels has seen the United States producing some of the highest rate of household solar panel installations across the globe. Prices are expected to continue to decrease over time. Looking for more information on solar? Sign up now and we will find them for you.